The 2018.11 release brings you file load performance enhancements, bug fixes, updated Overloud plugins, and a brand new export control bar module with seamless one click integration to export projects to the BandLab cloud and fast access to common file export operations. Changelog for latest release is here. Check out all new features released to date. No matter what plug-ins or bundles you’ve bought in the past – anything that worked with SONAR before will work with Cakewalk by BandLab and should integrate seamlessly. Firstly, thank you to everybody here for your incredible support in the last month (and a bit!). As you might have guessed, it’s been a busy few weeks for us at BandLab. On top of maintaining the steady flow of feature releases that we consistently do on BandLab every week, the whole team has been working tirelessly to pull together the new flagship, streamlined version of SONAR so that we could get it to you ASAP. 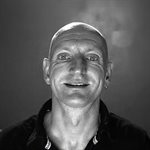 We have an aggressive vision here at BandLab – and that is a world in which there are no barriers, physical, geographical or technical to the making and sharing of music. For the millions of creators already on BandLab in more than 180 countries around the world – this vision continues to develop every time we push a new release. For the professional musicians who use our platform, access to a complete toolset is a key part of this vision and this release is one of our biggest yet. The big news is a business model change that is only possible because of our ecosystem – we’re releasing the entire feature set of SONAR Platinum (sans certain 3rd party plugins and content) in its new form of Cakewalk by BandLab completely free. We want anyone to have access to the highest level of professional music production tools in the same way that we empower musicians to make and share their music around the world with BandLab’s creation, collaboration and social tools. Cakewalk by BandLab has all the premium features of SONAR Platinum that you know and love but we’ve also added some small new features for now: you now have the ability to replace Track Templates and enjoy a theme-capable Piano Roll View (easier on the eyes for those late nights). These are just two quick additions – there’s a lot more coming based on your feedback and I’m confident you’ll be excited about what’s on the horizon. Existing Platinum users: all previously purchased third party bundles, plug-ins and instruments already installed on your system should automatically integrate with Cakewalk by BandLab. If you have all your third party products and plug-ins previously downloaded from the Command Center, everything should work seamlessly. 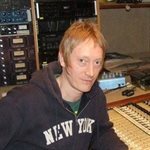 For anyone concerned that downloading Cakewalk by BandLab via BandLab Assistant might mess with your system or existing software – we’ve put a lot of effort into making sure that it doesn’t affect previous SONAR installations - Cakewalk by BandLab and previous versions of SONAR can run on the same machine with no issues. That said, there will be no more updates released for legacy SONAR products. As always, keep in mind that if you make changes to your operating system, this could affect performance of any legacy products as updates won’t happen in the future. Many thanks to everyone who has already signed up for a BandLab account. As mentioned before, it will be necessary for tagging other purchases you have made in the past - for example, the next iteration of Rapture will not be released for free when it is ready unless you are an existing owner and eligible for a crossgrade. Having your obsolete Cakewalk ID linked to your BandLab Account ensures that we can verify your previous purchases, and any future upgrade or cross grade opportunities are available to you. For those who haven’t signed up yet, you’ll also need a BandLab account to install and authenticate Cakewalk, as well as to receive future updates and new releases. On a side note, we’ve also been busy organising some Cakewalk swag (featuring new and vintage looks) to celebrate the launch and offer something fun for some of you lifetime Cakewalk fans. We’ve souped up our Tip Jar and released an early version of our upcoming Rewards feature, and you’ll visit this page once your install has started. A reissued version of Noel’s famous Cakewalk mug is there as well as some other swag - I'll add the link in a second, we're just updating some photos! There is no obligation to send a tip. I want to thank all of you for your support, your encouragement, your feedback and suggestions. We are constantly humbled by the passion and wealth of knowledge among the Cakewalk community. We are so proud to be able to continue development of SONAR’s core feature set as Cakewalk by BandLab and are committed to investing in this excellent product - we will continue to innovate to ship new and improved features as we do with all the products we develop. We hope that you, the dedicated core of long-term SONAR users, will be able to keep creating music with your preferred workflow for decades to come – and that a whole new generation of music creators, artists and producers will be introduced to this fantastic professional music software. I hope you’re as excited about the future as we are. Please jump in and explore Cakewalk by BandLab – for existing SPLAT users, you’ll find it very comfortable and I hope we’ve alleviated some of your worst nightmares. For those of you that never could justify spending on an upgrade – welcome to the real deal :-) In the coming days and weeks, there’s much more I will share and I’m sure you’ll discover some of the other things you can do with BandLab Assistant and maybe try out BandLab too, if you haven’t already!Happy downloading and music making! 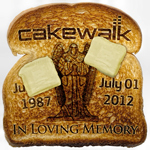 Long Live Cakewalk! p.s I meant it when I said we were baking something special up for you! Getting ready to download now - looking forward to the future enhancements! Windows 10 (64-bit), Cakewalk by BandLab, ASUS Z170-A, Intel i7 6700k, ATI Radeon R5 230 2048Mb, 32GB RAM, 500GB SDD system drive, 2 250GB SSD samples drives, 2TB HDD, Focusrite Scarlett 2i4 (2nd generation), M-Audio Oxygen25, Korg i5M, Rapture Pro, Z3TA+2, SampleTank 3, BFD (2&3), Addictive Drums (1&2), EZdrummer2, MusicLab Real Guitar, EZmix2, Ozone 7 Elements, Neutron Elements, Overloud TH2, AmpliTube, T-RackS, Waves singles, Harrison Mixbus 4, Acoustica 7 Premium. Windows 10 x64, 16 gb RAM,i7 4.2GHz, 250GB Samsung SSD for OS/Programs, SSD for current projects, 1TB Disk for audio and backup project files, RME UCX interface on USB, ASUS motherboard, dual screen setup with latest AMD FX 5450 catalyst drivers for graphics, Cakewalk by Bandlab. Samson Graphite 49 keyboard. Very nice indeed :) Congratulations on the release. How about the plugins like Z3TA+, Rapture and Dimension... Will they be updated and available again to purchase? Does this mean they have ported PLATINUM to Mac??? I am very curious to know what the competition says about a free DAW of this calibre being available. Should make for interesting meetings in some of these places I think. Error: Installation files are corrupt. Please obtain a new copy of the program. Win10x64 (Eng), Sonar Platinum x64 (Eng w/ lifetime updates), 32GB DDR4 RAM, Intel i7 5820, nVidia 960, Alesis MultiMix 8 USB2 w/ Alesis MultiMix driver. Native Instruments Komplete Kontrol S88, Korg NanoControl. Where is the download link? I've got Producer and wouldn't mind seeing what Platinum is like. Pain free installation. I'm back up and running with the project I was working on half an hour ago in Platinum! Increíble Meng, thanks. Anyway, now I'm encouraged to keep sending workflow suggestions for the future development of Cakewalk by BandLab, so I will be more annoying than ever. Thanks again Meng, Noel, the forum admins here, and all the BandLab crew. PD: Please make caps as well as mugs and t-shirts! This is so exciting! Finally getting back into the DAW after 5 months. I'd replied to your PM to sent a follow up to you Meng, appreciate if you could have a read. Cheers. No the Mac version of BandLab assistant allows access to the loop content and of course the BandLab Mix editor today. That is great news! I will hod off a bit on installing this and let you brave people take the first hits :) I am a coward like that. WOW thank you, as a previous lifetime member looking forward to what comes next. Very Impressed so far, not just with the DAW but in general and communication with the existing user base, much appreciated! Just one question though, how do we get an offline installer? Thank you Meng for making all of this happen, it certainly is greatly appreciated. Looking forward to installing tonight. Is offline activation still possible with this version? No offline activation today sorry. 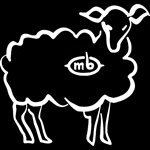 You have to download and install via BandLab assistant. Hi! Thank you very much Meng, Noel and all Bandlab team! It's much appreciated! Having your obsolete Cakewalk ID linked to your BandLab Account ensures that we can verify your previous purchases, and any future upgrade or cross grade opportunities are available to you. For those who haven’t signed up yet, you’ll also need a BandLab account to install and authenticate Cakewalk, as well as to receive future updates and new releases. Any process for how to do this for those who bought Platinum on Steam? Thanks for everything! Mine came second. We should each get one of the new mugs? 1. Wasn't the company name Cakewalk. I see Cakewalk as Daw. I thought that only the software was bought and not the company. 2. My validation is until/through 04-10-2018. I had a lifetime validation. This version is free to all Platinum members , but for how long? And if that is the case, do we have the option to get the code to use our old software without authorization? I like what Bandlab did as far as saving the software, but after the downfall of Sonar I have little faith in what the company says. I am not here to bash anyone on the forum, company, Bandlab or anyone/thing on the forum. I just would like some honest answers as to what we can expect. Well, I'm out.... Congrats to the rest of you.